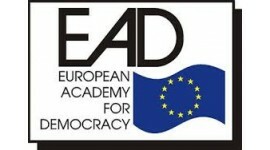 EAD is short for The European Academy for Democracy. This is a political organisation concentrated in educational, journalistic, cultural, economic, and pedagogical activities. It professes to support democratization process in the Czech Republic and effort of the Czech Republic integration to European economic, organisation, and defense structures by its activities. The European Academy for Democracy was founded in Prague on July 30, 1991.